This Thai-inspired slaw is sure to mix up burger night. 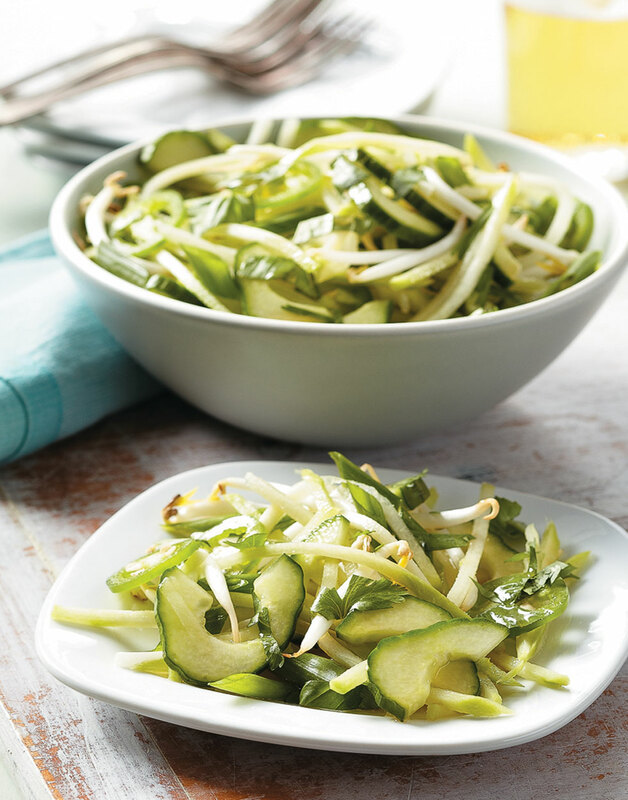 Packed with fresh veggies, like bean sprouts, cucumber, and chayote, then flavored with fresh herbs and a zesty sauce, this Chayote Slaw is a welcomed edition to your slaw repertoire. Chayote [chi-OH-tay], also called mirliton, resembles a pear in size, shape, and color. The mild flavor is versatile depending on how it’s seasoned. Enjoy chayote raw in salads, or use it any way you’d use summer squash. Whisk together lime juice, brown sugar, and fish sauce for the vinaigrette. Toss chayote, bean sprouts, cucumber, scallions, basil, cilantro, and jalapeño with the vinaigrette. Recipe Note:Thoroughly rinse bean sprouts before using, and check the expiration date. Sprouts spoil quickly and should be used within two days of purchase.